Your Archwing build in the Jordas Verdict will mark the difference between making the raid easy or constantly needing to be revived. For that purpose, Amesha is arguably the best choice, not only for new players but also for experienced raiders. 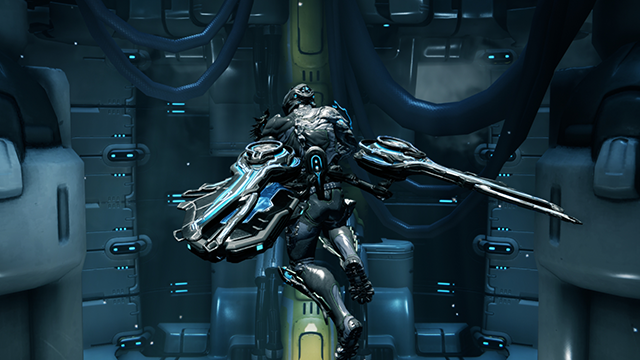 This archwing doesn’t just allow you to protect yourself and your team, but you will also be able to replenish yours and your squads health and energy. Make no mistake - if there is such a thing as Archwing God-mode, Amesha is it. High Strength increase the number of drones in Watchful Swarm, letting you recast it less frequently. It also causes Benevolent Decoy to heal players at a higher rate and Warding Grace to slow down enemies even more. Duration is mostly handy for Benevolent Decoy and Vengeful Rush so they last for a longer time. Range is definitely needed for Benevolent Decoy so that it covers a wider area to protect and heal raiders. Efficiency isn’t that important since you can use Vengeful Rush to recover energy. Increase it if you have the mod for it. 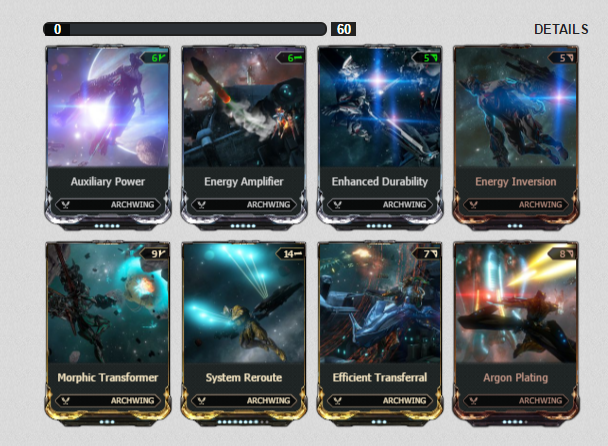 As soon as you are in Archwing mode, activate your fourth and first ability in this order to get as many drones as you can. This’ll keep you alive for a while. Alternatively you can active just Vengeful Rush and let enemies damage you. This way you can get a nice energy pool for later. It’s a great idea to make a “spam-1” macro, which will not only refresh your own Swarm whenever it runs out, but also apply it to any team mate that finds themselves under your crosshair. When you see other raiders pushing the spore around and you’re not occupied with any tasks, rush ahead of them and active Benevolent Decoy. This way you’ll redirect any incoming fire towards the spore. If you cast the ability multiple times (up to three) in the same area, the bubble will stack, increasing it’s time. Do NOT use Warding Grace (#3) in phase 1 or phase 3, at all. Warding Grace not only slows down enemies, but also the infested spore that you need in order to progress. Slowing down the spore means slowing down progress! In phase 3, after killing a nerve inside the Golem, activate Warding Grace as soon as Jordas detaches from his station. This way he’ll be slowed down, giving other players the time to do damage. Do NOT use it before he detaches! Jordas sometimes needs to complete an attack animation before he can become vulnerable. Slowing him down at that point will just keep him invulnerable for a long time.